On Thursday, February, the Alumni Relations Department led by Principal Alumni Relations Officer, Mr. Michael Kisilu paid courtesy calls on two local alumni associations, accompanied by Alumni Relations Officer Ms. Joanne Alividza and Alumni Relations Intern Ms. Susan Muriuki. Having recently been appointed to head the Department of Alumni Affairs, Mr. Kisilu sought to learn from his counterparts at Strathmore University and the University of Nairobi executed their mandates. Discussions held centered around key areas including organizational structure of the alumni department/association, alumni engagement initiatives, membership, data management, and fundraising aspect of alumni community. 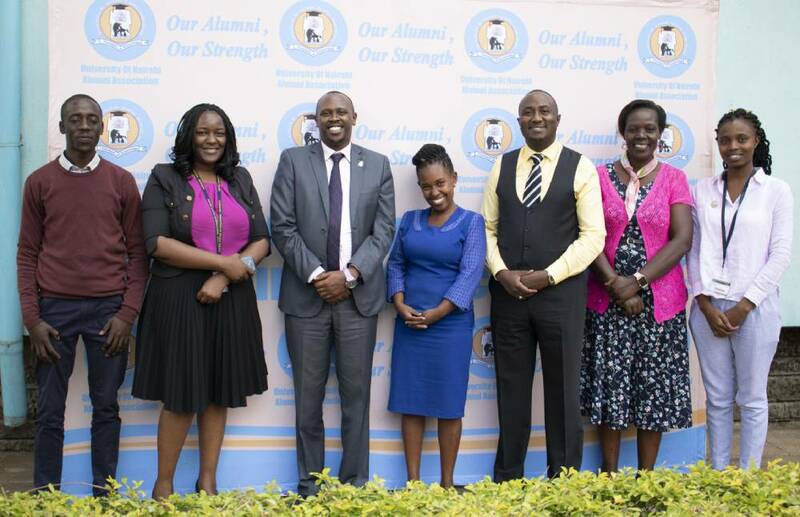 A notable take away of the courtesy calls was that both University of Nairobi Alumni Association and Strathmore University’s Partnerships and Alumni Relations Department emphasized alumni engagement initiatives such as establishing alumni chapters, organizing workshops/trainings for alumni development, involving alumni in mentorship programs, collecting views from alumni on institutional governance, and hosting social activities such as gala dinners and cocktail parties. According to the discussions, these initiatives, would make alumni feel part and parcel of their alma mater, creating stronger relationships, and promoting pride and affinity towards the University. Furthermore, the initiatives would provide platforms for alumni to give back to the University.